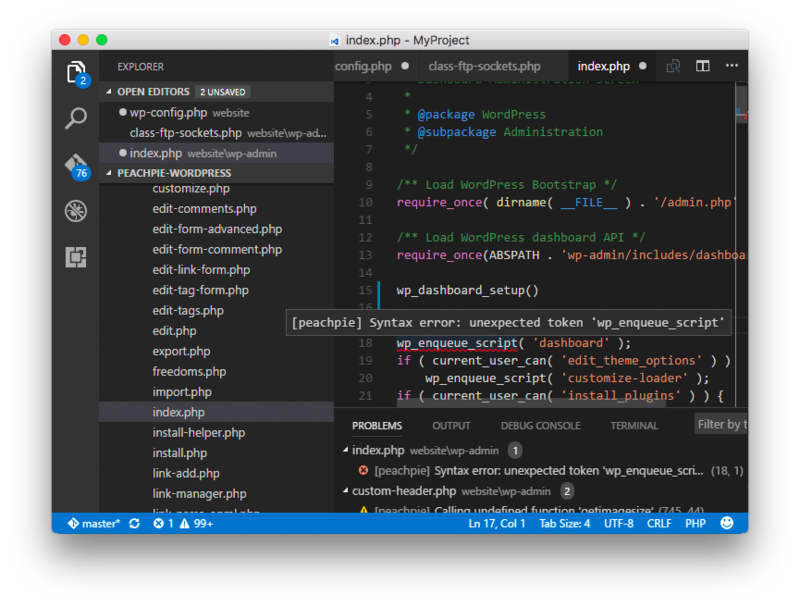 Visual Studio Code>Programming Languages>PeachPie for Visual Studio CodeNew to Visual Studio Code? Get it now. 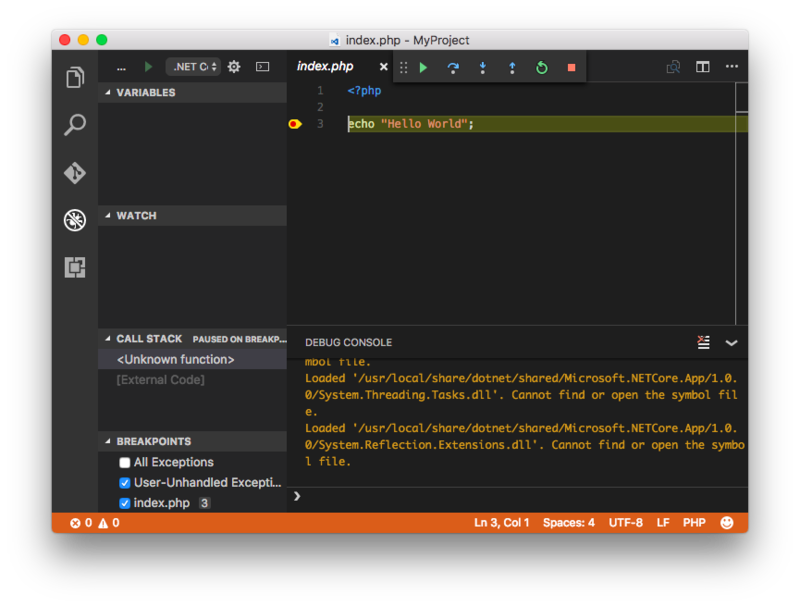 Visual Studio Code extension for PeachPie - the PHP compiler for .NET and .NET Core. 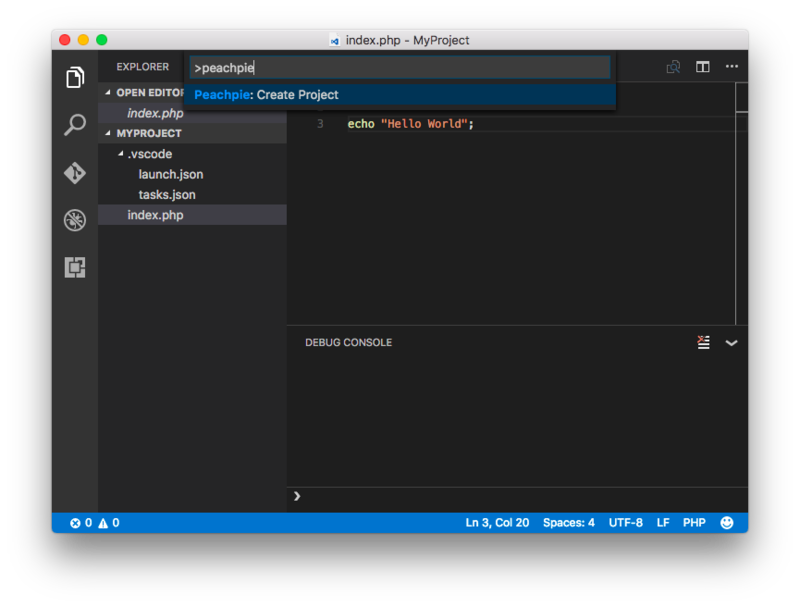 This is the official extension of PeachPie for Visual Studio Code. 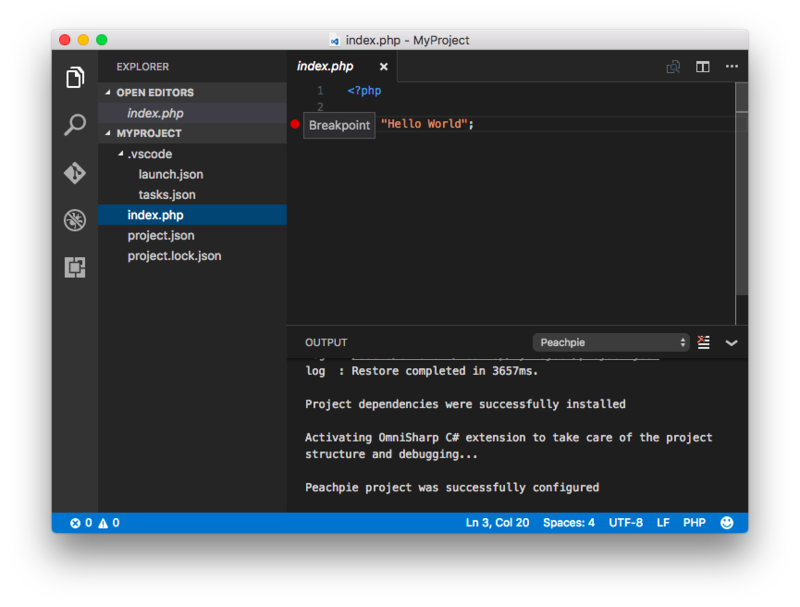 It integrates the PHP compiler to .NET into VSCode, automatically downloading the required dependencies and allowing for a comfortable development experience with PeachPie. Please note that PeachPie compiler is still a work in progress. Therefore, some functionalities are not yet supported. For an updated list of supported constructs, please see our roadmap. 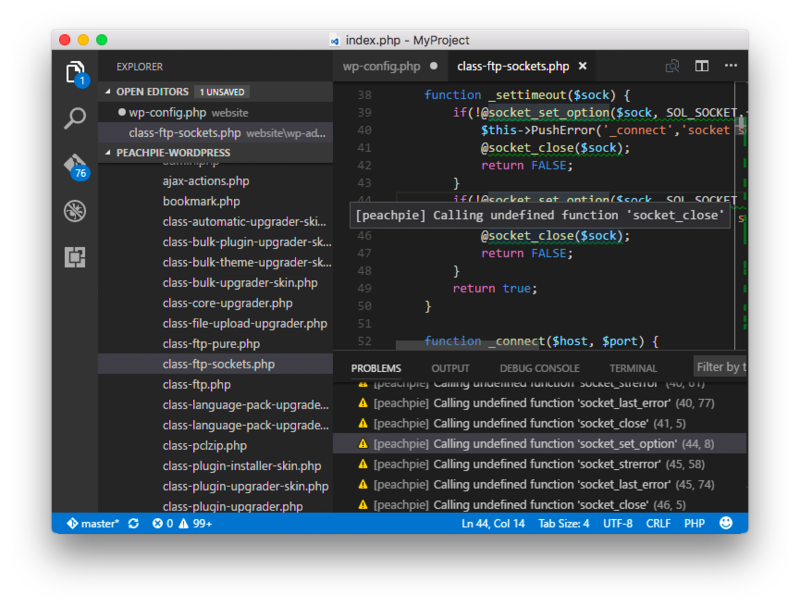 It is necessary to install the C# for Visual Studio Code extension first. Check out the extension in the VSCode Marketplace and download it directly in VSCode by typing the command ext install csharp. PeachPie compiler is a work in progress, and thus many functionalities are not yet supported. Please see the project's repository for limitations, supported constructs and specifications.